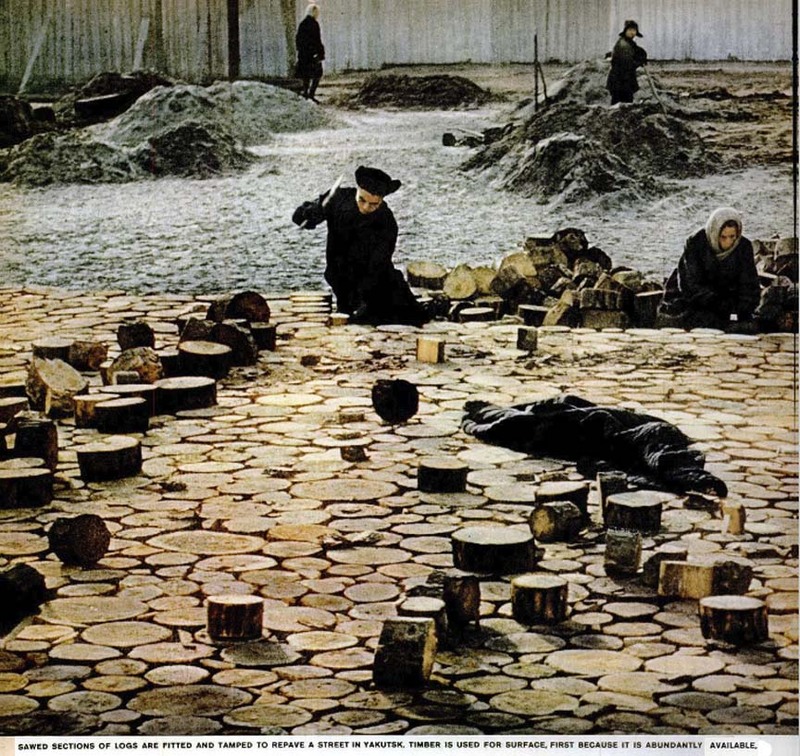 The June 13th, 1960 issue of LIFE magazine had a picture spread titled Russia’s Remote Lands. It was heavy on pictures and light on text, as LIFE was wont to do. Of course 1960 was still duck & cover/CD shelter time, and Americans knew little about the Russian wilderness. 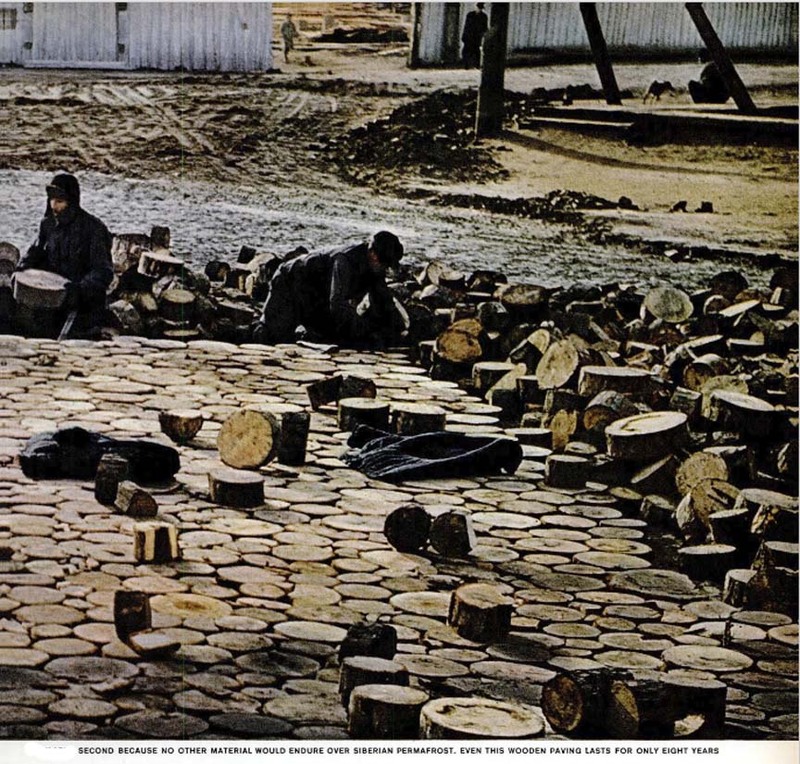 What fascinated me was the wooden road building. 16,000 miles of wilderness with a material that will last 8 years sounds like job security… for generations. The judge (prompted by the political advisor attached to the court), sentences you to be transported to Siberia. Until you finish the road. Keep in mind this was one photograph spread across two pages. Averaging the big 'uns and the li'l 'uns, let's call those sections the size of a pie plate. DAYUM that's a lot of trees. Every eight years. The "perma" in permafrost is no longer a given. Imagine building your house on bedrock in a temperate or tropic zone and then find in is no longer solid. Then you, or your bedrock weren't on bedrock. I'll bet you can log some miles on a wooden road. But don't go against the grain.